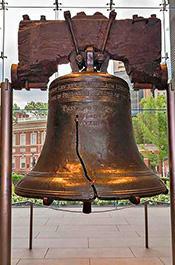 MARCH 27--It was not difficult for Illinois cops to crack the case against Liberty Bell. Police in Shiloh, a village about 20 miles east of St. Louis, Missouri, were summoned late Friday to a convenience store on a report of person locked out of their vehicle. The 911 call was placed by a store worker who reported that the driver “was acting suspicious,” cops noted. Upon arrival, Shiloh Police Department officers determined that the auto in question had been reported stolen from a neighboring city. Which did not bode well for the 35-year-old Bell, who was arrested for possession of a stolen vehicle. Bell, seen above, is being held in the St. Clair County jail in lieu of $30,000 bond on the felony count. Bell’s rap sheet includes numerous vehicular charges and prior arrests for battery, retail theft, disorderly conduct, domestic battery, and driving with a suspended license.